The saxon 9-27x56 Firetail Spotting Scope is the optical instrument of choice for those on the move! Don't let its size fool you. This ultra lightweight and portable scope delivers excellent image sharpness and clarity under all conditions , owing to a 56mm objective lens, Extra-low Dispersion (ED) glass, and fully multi-coated optics. A durable, waterproof, and nitrogen-purged body complete this scope, providing the necessary protection against the elements. Suitable for use as a handheld scope or mounted on a tripod. The saxon 16-48x65 ED Spotting Scope is a must-have for amazing image reproduction. Great for birding, hunting, even casual astronomy, this scope features 65mm multi-coated objectives at a medium magnification range of 16-48x. The Extra-low Dispersion (ED) glass gives distinct colouration and sharpness even in low light conditions. This spotting scope comes with a smooth turning focus knob; and a waterproof, fogproof and nitrogen-purged body. The saxon 20-60x80mm ED spotting scope is ideal for bird watching, long range observation, target spotting and low light observation. This waterproof spotting scope features a 45 degree viewing angle, fully-multi coated optics and an 80mm objective lens with Extra-low Dispersion (ED) glass, allowing for more distinct colouration and sharpness on overcast days and at dawn and dusk. Adjust the 20-60x zoom range on the spotting scope with ease to ensure your intended object is in sight. For stunning, high-contrast images you'll want the saxon 22-67x100 ED Spotting Scope. This well-built spotting scope is manufactured with quality in mind, with extra low-dispersion (ED) glass to provide optimum viewing performance; and 22-67x magnification and smooth focus mechanism to help zoom in on your object. 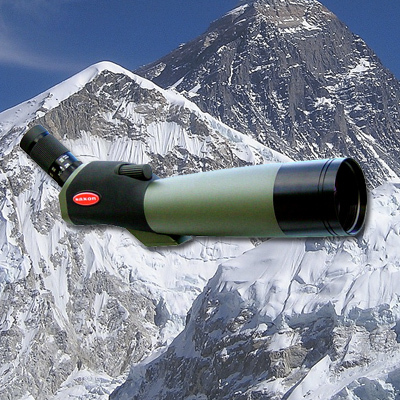 This scope is a must-have on your next hunting, outdoor or photography adventure!